Edmonton's current official city flag is more than 20 years old, and mayor Don Iveson wants to see it changed. 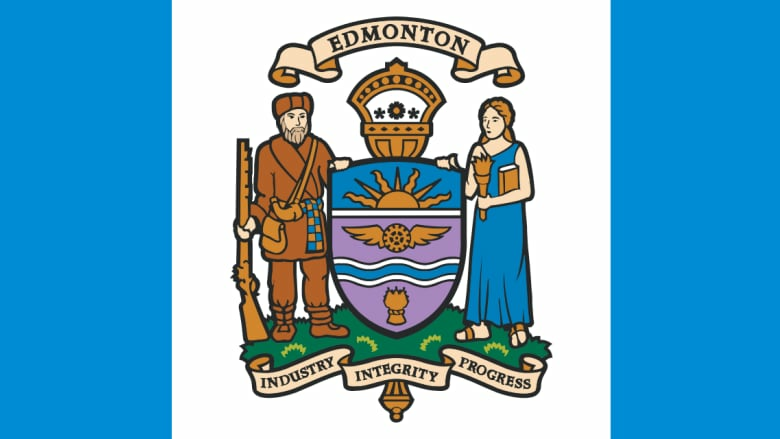 Edmonton's current city flag features the capital's official crest, flanked by a sea of blue. Edmonton mayor Don Iveson wants to see the city's official flag changed. 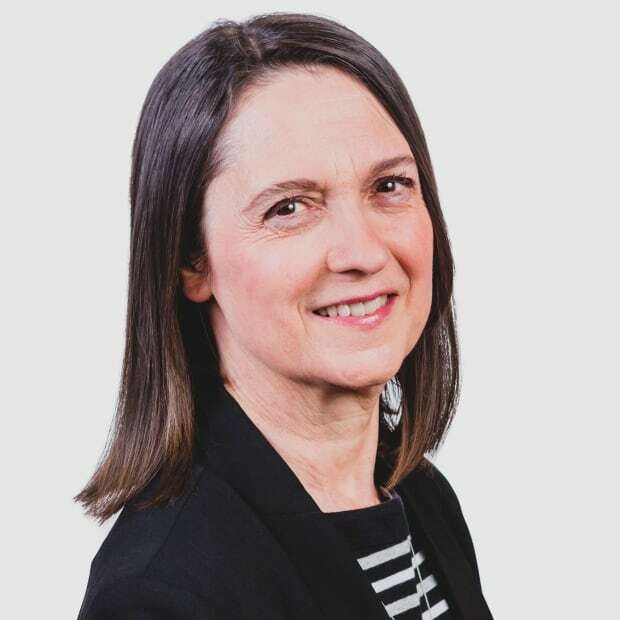 The mayor put forward a motion on Tuesday at city council for city staff to find out what the public has to say about a new flag for the city. The current flag is more than 20 years old. It features the city's coat of arms, and elements like Athena, the Goddess of Wisdom, to represent education and the University of Alberta, and a winged wheel to recognize Edmonton's aviation history. Iveson has already said he favours a design by Edmonton artist Ryan McCourt. McCourt's flag was submitted as part of an art contest on the theme of Treaty 6 Recognition Day, and features important First Nations imagery. It also represents some of the text of Treaty 6, which says the Treaty endures "as long as the sun shines, as long as the grass grows, and as long as the river flows." "It says a lot about a city's flag when nobody knows that it exists," he said. 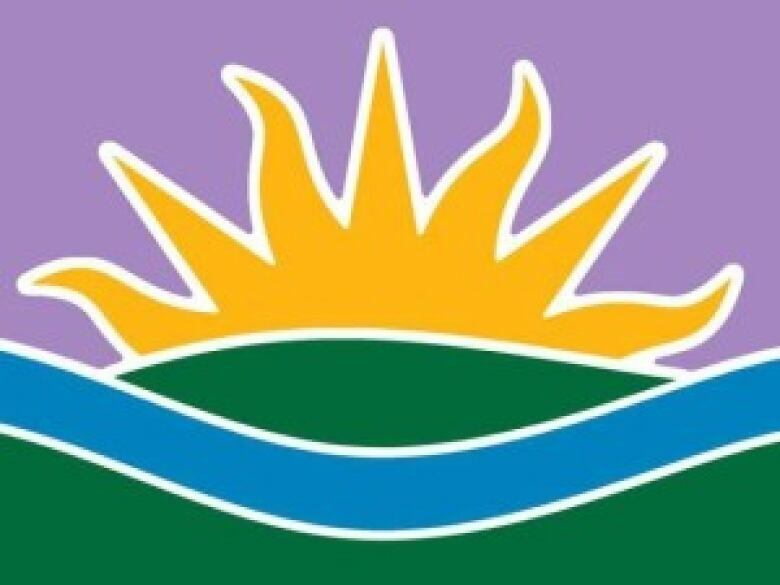 Chubocha asked Edmontonians to lobby the mayor and council to come up with a new city flag. Iveson said the cost to taxpayers will be "zero" at this stage, apart from some staff time. Coun. Scott McKeen asked what he should do if he starts getting emails from people with their own suggestions or designs. The answer? Forward them to administration. "If there is a will to open up a design contest, I'm open to that," Iveson said, although he admitted that had not been part of his original intent. Edmonton's flag is primarily used at ceremonial occasions and at city council. Iveson's motion passed, with councillors Michael Oshry, Bryan Anderson and Mike Nickel opposed.